Many people dread tax season. Tax season is a very stressful time of the year. As a taxpayer, you are uncertain if you will owe taxes or get a refund. I dread having to gather all of my receipts and enter the information in the tax software package that I purchase yearly. 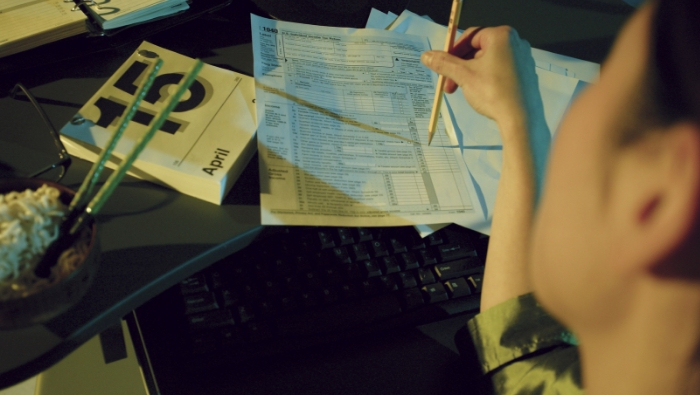 Tax season is less stressful if you don’t owe taxes. If you discover that you owe taxes and don’t have the money to pay, your stress level escalates. What can you do if you don’t have the money to pay the IRS? Don’t stick your head in the sand and ignore the problem. You must face it head on. If you fail to pay your taxes, you will be worse off than before because you will owe the original tax plus interest and penalties. You could be subject to a wage garnishment, bank account seizure or subject to a tax lien on your property which lowers your credit score. However, there are several options available to help you if you are unable to pay taxes owed. Here are eight dynamic recommendations to follow if you can’t pay your taxes. This is a critical step in paying your taxes. You must file on time even if you can’t afford to pay the amount owed. The IRS charges a penalty for failing to file taxes (failure-to-file penalty) in addition to interest and penalties for any unpaid taxes owed. There is no statute of limitations when the IRS can contact a taxpayer to pay taxes owed. Consult a tax lawyer or CPA to review your taxes and any supporting documentation to make certain that the amount of taxes owed is accurate. You can also call the IRS Taxpayer Advocate Service 1-877-777-4778 for free assistance. Request an extension to file taxes and request the maximum extension time of six months by filing IRS Form 1127. An extension only applies to filing and is not an extension to pay. Penalties and interest will still accrue on the total amount owed. This will give you time to develop a solution to pay the taxes owed. Use money from your savings account to pay taxes owed. Go through your home and find any new or unused items in good condition that you can sell at a yard sale, flea market, or online, including any valuables. Sell stocks or bonds and use the cash to pay your taxes. Apply for a 401k loan or home equity loan for the full amount owed and use the money to pay your taxes. A Dollar Stretcher trusted partner. An individual can setup an IRS installment plan if you owe $50,000 or less and can pay back the amount owed in 3 years. If you are a business owner, you can setup an installment plan if you owe $25,000 or less. The IRS will charge a one-time fee of $105. If you own less than $25,000 and can pay the amount owed within six years, ask the IRS for a streamlined payment agreement. The IRS will charge a one-time fee of $102. Request an Offer in Compromise if you cannot pay the total amount owed. 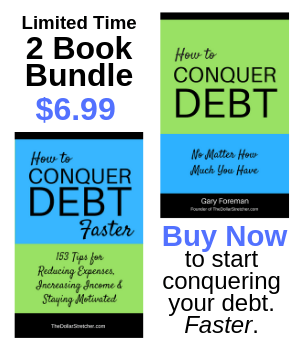 This allows you to settle your tax debt for less than the total amount owed if you will be unable to pay back the total amount owed within 10 years. The IRS will charge a one-time fee of $150. Consider getting a part-time job, work overtime at your existing job, work two full-time jobs or start a part-time business to earn money to pay taxes owed. You can also reduce your monthly spending by 30% – 50% to increase your monthly cash flow and use the money to pay your taxes. This should be your last resort. Your taxes can be discharged when filing bankruptcy under certain conditions. You can file for bankruptcy Chapter 7 or Chapter 13. Consult a tax attorney to help you determine if you are eligible. However, if you file for bankruptcy and still owe the IRS, it gives them extra time to collect the balance. Related: Am I a Good Candidate for Bankruptcy? Do you owe money to the IRS? See if you qualify for help with unpaid taxes.